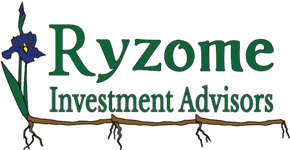 Here at Ryzome, we highly appreciate any client of ours and don't have any required account minimums to get started. Many Mutual Funds require between $500 and $1,000 for an initial purchase. The price of individual stocks can range from pennies, to hundreds of dollars for a single share. There are transaction costs for buying and selling your investments. Our provider charges $6.95 to buy and to sell (so it wouldn't be incredibly prudent to buy 1 share of a stock that cost $20... That $20 stock would have to almost double for you to break even)! That being said, details regarding individual positions or allocations is one of the last priorities we cover, after going over the other areas of the planning process. Those with more developed portfolios can benefit from a wide variety of investment options, and discounted services begin at $500,000.